SALT LAKE CITY (AP) — Gov. 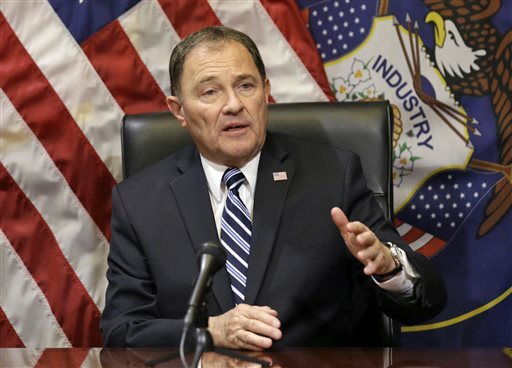 Gary Herbert said Monday that he’s disappointed in himself and his re-election campaign for offering to meet with lobbyists in exchange for campaign donations as he faces a tough battle for the GOP nomination this summer. The “Available Jones” comment is a reference to a character who was always available for a price that was featured in the “Li’l Abner” comic strip that ran from the early 1930s to late 1970s. Herbert said Monday that he and his staff made it clear that there would be no quid pro quo and likened the meetings to a fundraiser where donors bring checks. “We didn’t know we were being recorded— we thought we had all friends there,” Herbert said. Herbert said the offer wasn’t illegal or unethical. Cox, who is Herbert’s running mate, can be heard on the audio recording warning that they need to be careful. “This isn’t ‘Come give us a check and we’ll take care of your issue,’ ” Cox said. Herbert’s two rivals for the governor’s race this year — Republican Jonathan Johnson and Democrat Michael Weinholtz — both criticized the offer Monday. Weinholtz, who has loaned his own campaign about $1 million, said Herbert’s offer is untoward and unprofessional. Herbert said he’s at a disadvantage because Weinholtz, a former staffing company executive, and Johnson, chairman of the board at Overstock.com, can afford to loan or give large amounts of money to their own campaigns. “That’s good. I wish I was a wealthy person. I wish I could self-fund,” Herbert said. Johnson said he’s not beholden to Byrne, and they disagree on several issues. So he basically comes out and admits that he’s bought and paid for by interest groups like a good little political prostitute. But he’s mormon, so he can do no wrong, right? “We didn’t know we were being recorded”? “As far as optics and what happened”? Yikes. Probably the first time the Gov has been candid since assuming office. “I’m available”. Was there ever a doubt? The only thing he regrets is getting caught. Bye Bye. not by by. .! @fun bag, You Know which Interest Group To! Herbert has always been the most corrupt politician in the state, but the voters are too dumb to figure that out. Of course Herbert regrets his statement. He regrets the rash of crap it has brought him. 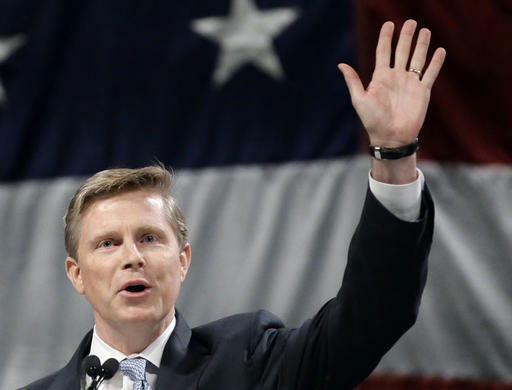 He regrets having to pretend that his comment doesn’t represent what he has been doing to finance his campaign and what he will do in the future.